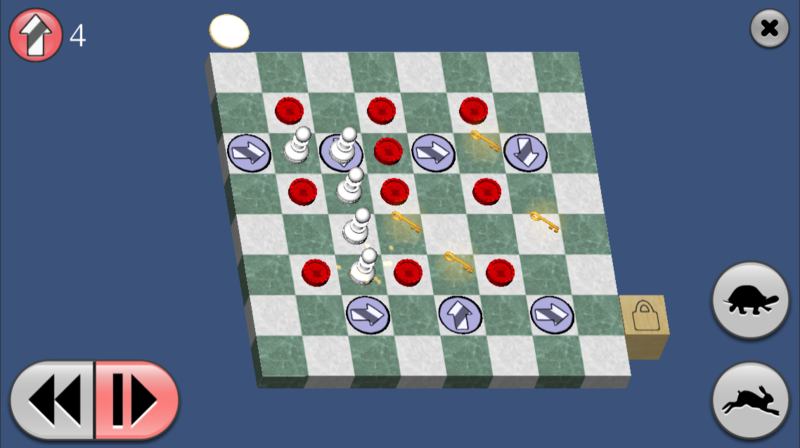 Still working on the re-release of Pawns! for iOS. A lot of it is tweaking small details, but one new feature is worth mentioning. Multiple captures can be difficult to follow. Now the player can touch the new “turtle” button to see the action in slow motion. It’s so handy that I realize I should have added something like it long ago! Here’s what it currently looks like (There is also a matching speed-up button which replaces the old “2x” toggle). This entry was posted in Pawns for iOS News, Work In Progress on November 3, 2017 by Matt.